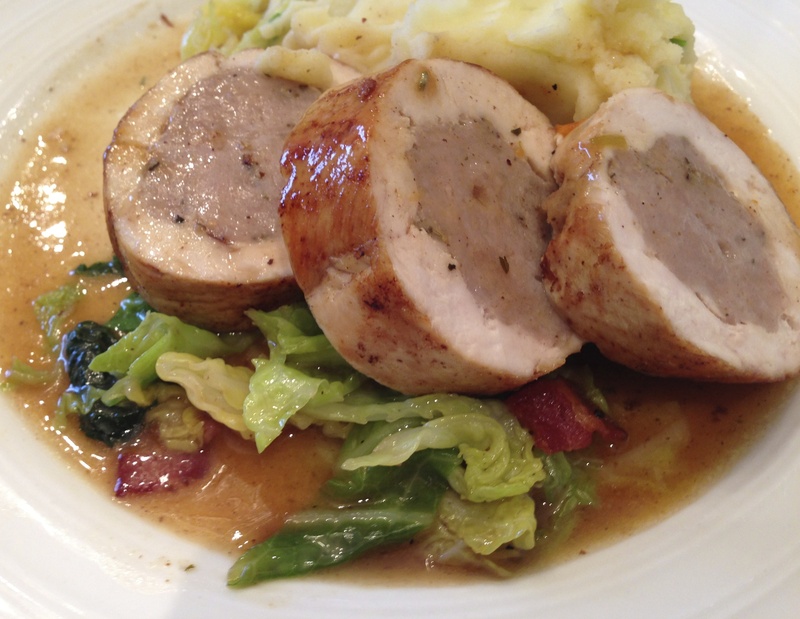 Ballotine of Chicken is something I have been meaning to try for ages. When I say ages I mean about ten years and after finally getting around to it last Sunday I really can’t work out what took me so long. 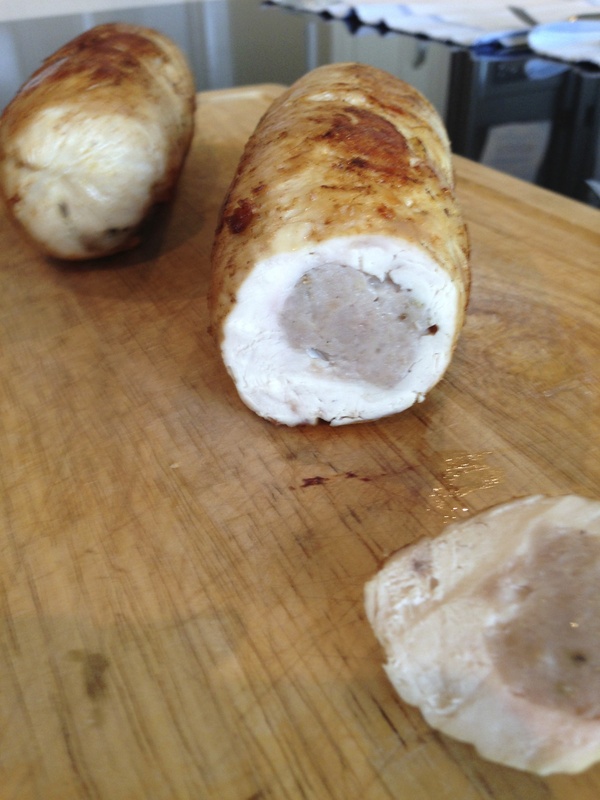 From what I gather Ballotine is usually made using chicken thigh stuffed with forcemeat or pork of some kind or other but to make life simple I used chicken breasts and stuffed with nice flavoursome sausages, with a little fennel and rosemary thrown in for good measure. The chicken is flattened and wrapped around the filling, shaped in to nice neat parcels and cooked by poaching and then unwrapping and finishing in a frying pan for colour so the result is soft tender meat with a beautifully bronzed exterior. I was really pleased with how they turned out and my husband and son declared them a winner. 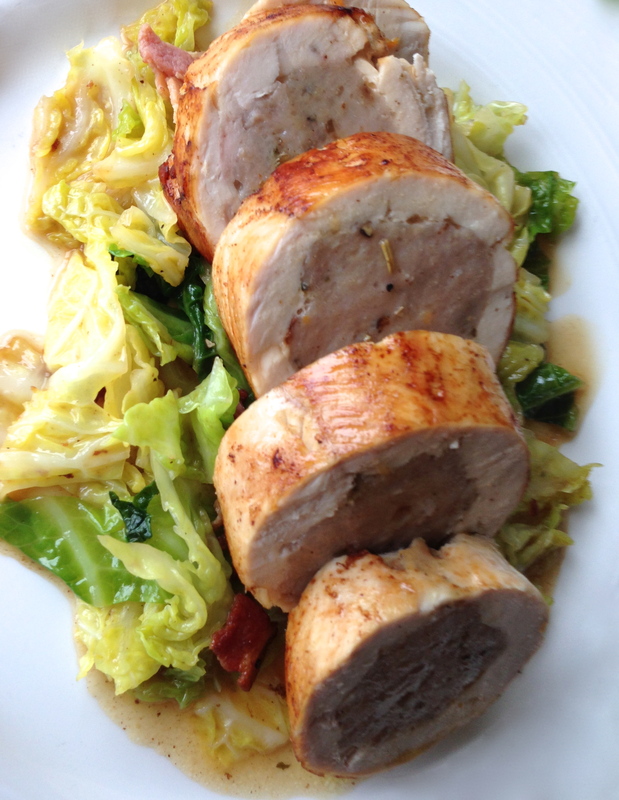 I think Ballotine is ideal if you have people coming over for dinner – they can be wrapped up and kept in the fridge well in advance and the ingredients couldn’t get any simpler. Next time I think I will buy some pork and whizz it up in the processor together with some herbs (sage would be nice) and try that too. I served with sautéed Savoy cabbage with bacon, spring onion mash and a very simple gravy made with some sherry and chicken stock. 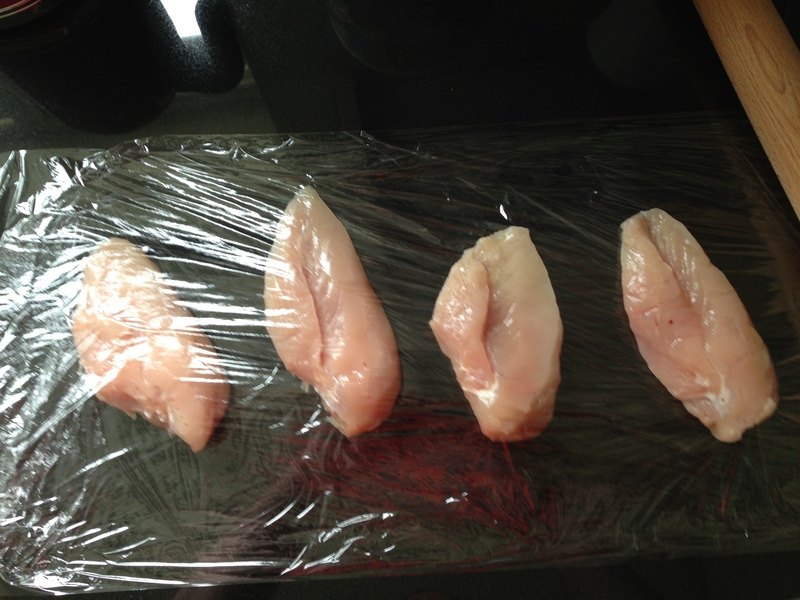 Place the chicken breasts between two large sheets of cling-film (making sure that there is enough space between each breast) and using a rolling pin flatten the breasts out to a nice even thickness of about half an inch. 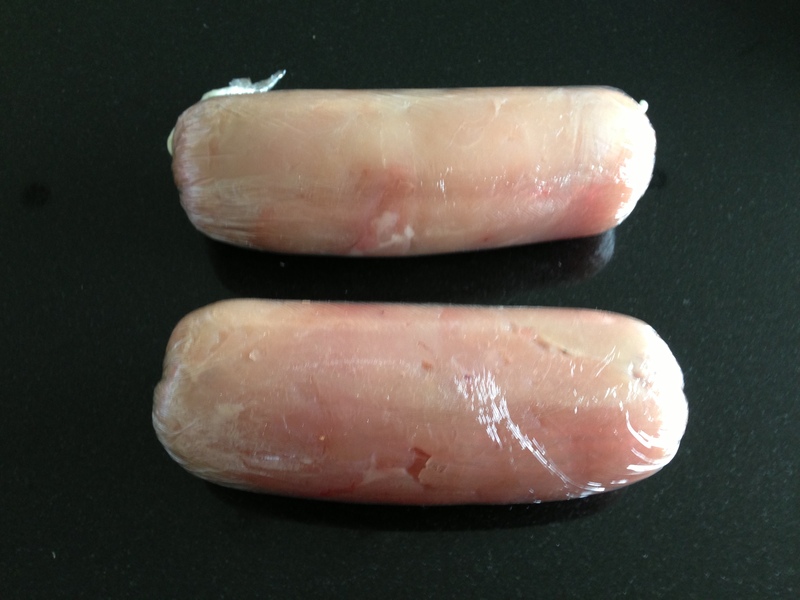 Remove the top layer of cling-film, then take two breasts and lay them together to make as close to a rectangle shape as you can – overlap them slightly at the join to keep the meat together so it becomes one piece. You can cut any edges necessary to make the rectangle and use those offcuts to fill in any gaps. Do the same with the other two breasts. Once you have two rough rectangle shapes overlay with cling film again and roll over heavily with the rolling pin to flatten and make sure the meat is all held in place together. Remove the skins from the sausages and place the meat in to a bowl. Add the fennel, rosemary, salt and pepper (and any other herb you fancy) and use a fork to mash the sausages well so that all of the seasoning is mixed through evenly. Divide the mixture in two and roll each half in to a long fat cigar shape and place each one lengthways in the centre of the chicken rectangles. Now lay out another clean piece of cling-film – approx. 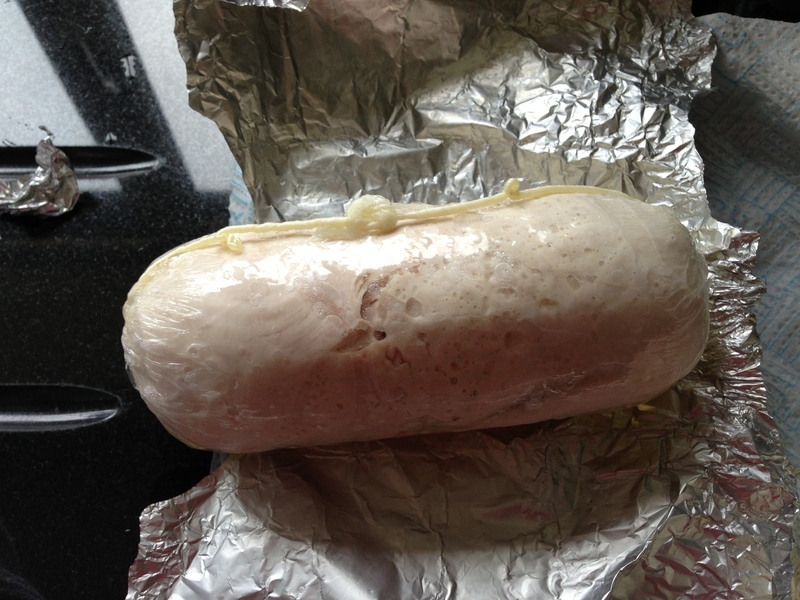 12 inches long – and carefully place one chicken rectangle in the centre. Using your hands gently roll the chicken over the sausage stuffing, making sure all of the stuffing is encased and tucking in the edge and ends of the chicken. Now tightly roll the chicken up in the cling-film and taking each end of the plastic – imagine it looks like a Christmas cracker – lift the parcel and swing it in full continuous circles so that the ends wind tighter and tighter and until they can wind no more – this will shape the chicken in to perfect cylinder shapes and they should feel really firm. If the ends are long enough you can tie them together to keep them neat. Repeat the process so each parcel is double-wrapped in cling-film and then again in a single layer of foil. Place in the fridge for an hour or two. 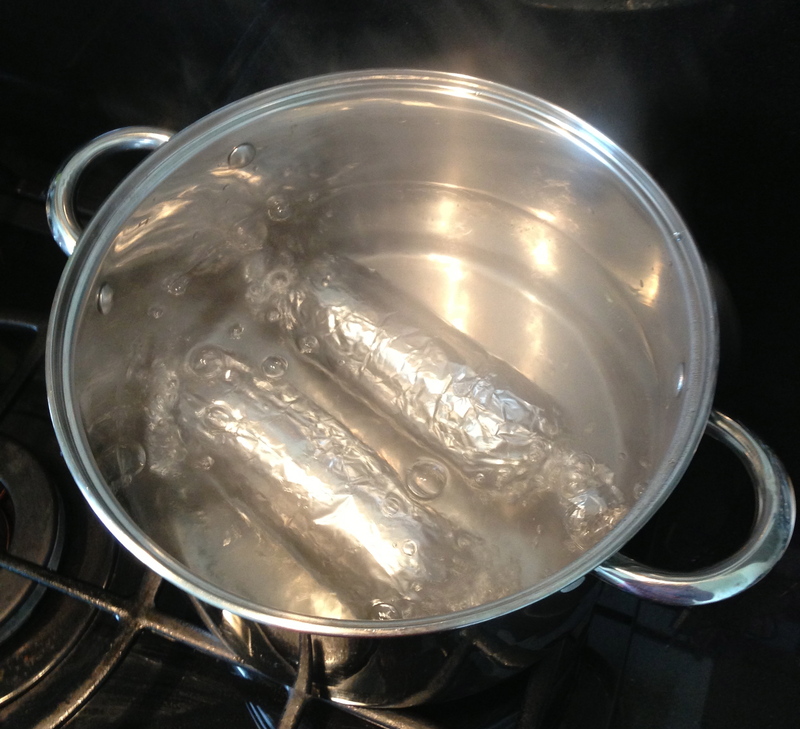 To cook place the parcels in a large pot of boiling water, reduce the heat to medium and allow to simmer for 20 minutes. Remove the parcels from the hot water using a tongs and carefully unwrap the foil and cling-film – I recommend using a knife to gently pierce the cling-film first to allow any liquid to drain off. Now heat a non-stick pan on high heat and add a knob of butter and around half a tablespoon of olive oil, reduce the heat to medium then fry the Ballotine on each side until nicely coloured, turning and basting frequently to colour evenly and avoid sticking. This should take around 10 minutes. Remove from the heat and allow to rest before carving. Deglaze the pan with some wine, sherry or marsala and reduce some chicken stock, with a teaspoon of Dijon thrown in, to make a nice light gravy. I can’t wait to try this again using lots of other stuffings. I think this will become quite a popular method of cooking chicken in our house.